Growing Space A green house is ideal place to grow your seedlings. 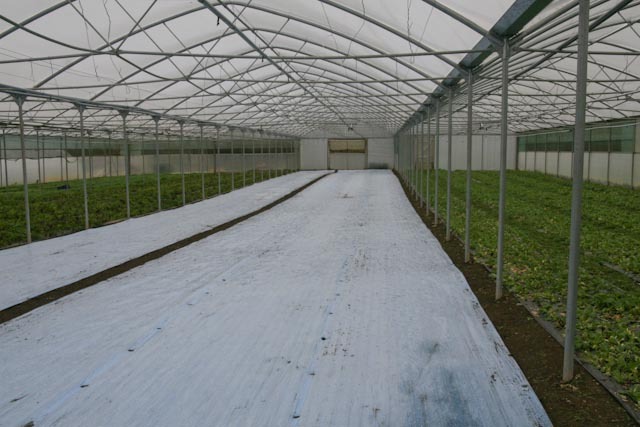 A polytunnel is a close runner up. A light conservatory, porch or window sill will do. Seed trays, pots or containers. Plastic seed trays, modules and pots are widely available in garden centres but you can improvise recycling plastic containers you may have at home that have held food etc. It is important that there are drainage holes in them though. One of my friends uses the Riverford milk cartons, cut down in size and makes drainage holes in the bottom. These are waxed so hold up to being watered. Growing media. There are a lot of different composts out there on the market. Get one that states it is seed compost as it will be finer in texture( and therefore more suitable). Basically you need a light loose medium that retains moisture and doesn’t develop a crust. Oxygen and water are essential for germination. Labels. Plant labels are crucial( as unless you’re pretty experienced,)or you will get into rather a muddle and not know what is what when your seedlings germinate. You can buy plastic labels or recycle plastic pots and cut them into labels. I use a pencil to log the variety and date sown. Seeds. The following seeds (I have suggested) are pretty easy to grow ( if you give them the correct treatment). There are billions to choose from so this is literally a drop in the dark! Many of my Gardening blog readers have probably ordered one of Riverfords boxes to grow- veg, herb or flower or maybe all three. If this is the case, try and grow different varieties from the ones to be delivered to your door. The flower box to grow delivery date is later in the season than usual so maybe try and bring on some seedlings to produce some earlier flowers for yourself. Helianthus-Sunflowers. There are many different varieties, some grown for their height (great fun for family competition) and smaller headed with a more bushy branching habit that are good for cutting. Tropaeolum –Nasturtium. This herb is said to attract black fly keeping them away from your veg plants such as broad beans and cabbages. It is also a favourite with hoverflies which are great to have around as their larvae eat aphids. The leaves and flowers can be added to salads although it is said you should not consume more than 30gms a day. Borago officianalis-Borage. This herb is a fantastic companion plant, the blue flower being attractive to bees hence aiding pollination. It is equally attractive in the flower or vegetable garden. The flowers can be pinched off and used to add to a gin and tonic or a summer Pimms. They also look great added to a salad along with nasturtium and calendula flowers. Lathyrus odoratus-Sweet Peas. These are a must in any garden and are really pretty fool proof. They will provide you with flowers right through to the first frosts as long as you keep cutting them so stopping them from going to seed. I prefer the old fashioned varieties, although they have smaller flowers, they are daintier and are far more scented. Sowing seeds in seed trays or pots or modules. I really wanted to do a little video of sowing seeds to run alongside this blog but have been struck down with the lurgy and unable to get out there. Put some compost into your chosen container and gentle tap to settle the compost, not quite filling to the top. You can sow in rows, individually or broadcast over the surface. Now cover with a layer of compost. 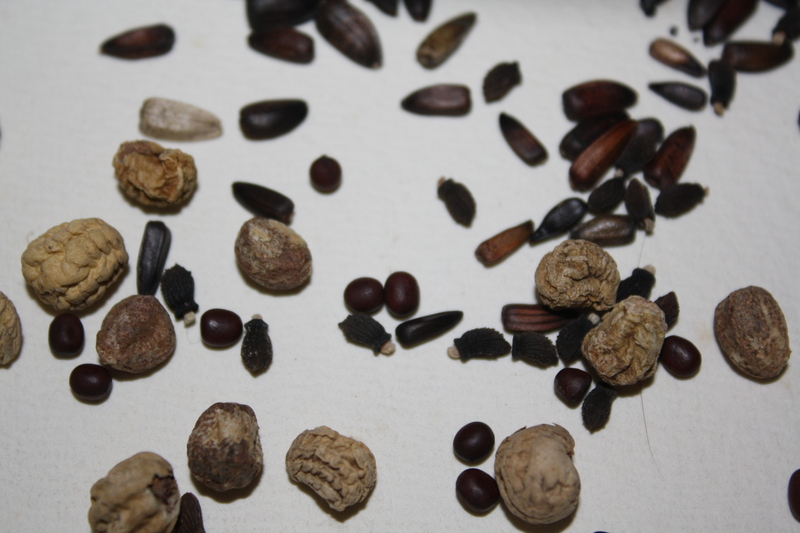 The depth to which your seed should be covered is dependent on its size. Generally speaking it should be covered by about the same depth of compost as the seed size itself, so for very small seed, covered with an equally small depth of compost and for larger seeds with a deeper layer. Now gently firm down the compost with your hand and label the container with the variety and date sown. Water in, using a watering can with fine rose attached. For very fine seed use a mister so as not to dislodge the seeds. Place your containers in a light warm situation and keep your containers moist at all times but not drenched. You may need to water once a day. 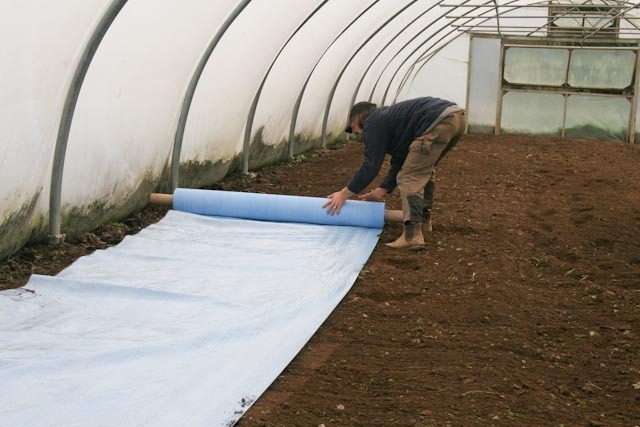 Some people like to cover their seed trays etc with a pane of glass or a clear plastic bag to give extra warmth. This is fine but be careful as the seedlings emerge that they don’t get scorched by direct sunlight. Check for unwanted intruders such as slugs and snails on a daily basis, being careful to look at the underside of the containers as this is where they often hide.